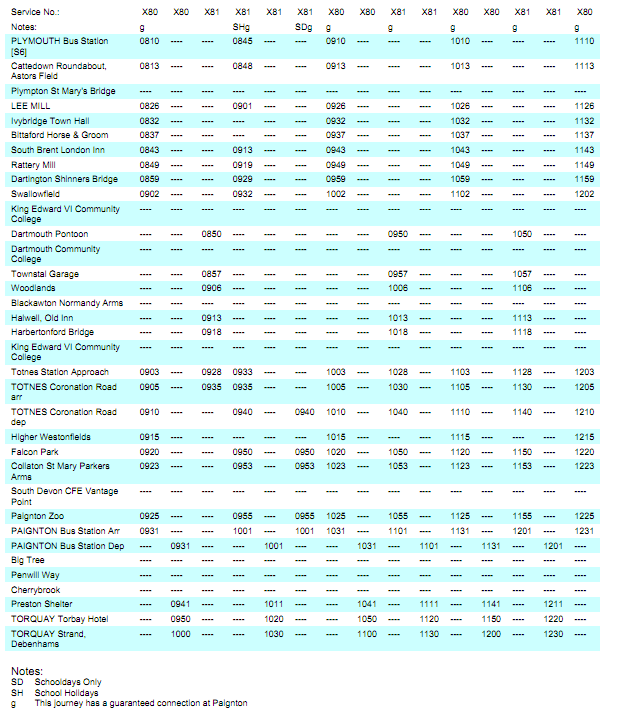 "First are pleased to announce that service X81 will be extended to operate between Totnes to Dartmouth from 11th April 2011, offering an hourly service from Monday to Saturday between Dartmouth, Totnes, Paignton and Torquay. 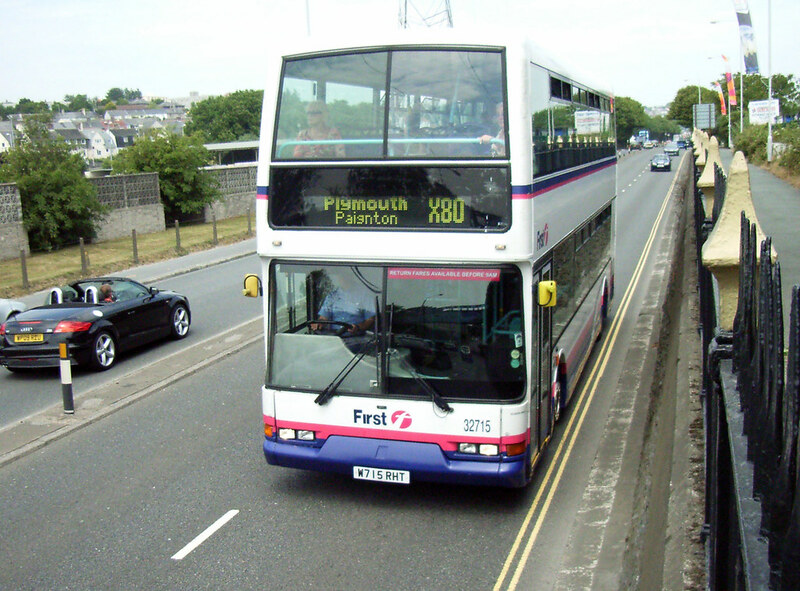 The X81 also offers excellent connections with the X80 so is ideal if you're onward journey takes you to Dartington, Ivybridge or Plymouth (plus if you're heading to Dartmouth from Plymouth the X80 and X81 combined offer a quicker journey than the 93!)" The extension of the X81 service will enable greater journey opportunities and provide for a direct bus service between Dartmouth and Paignton and is perfect if you're planning a day out. 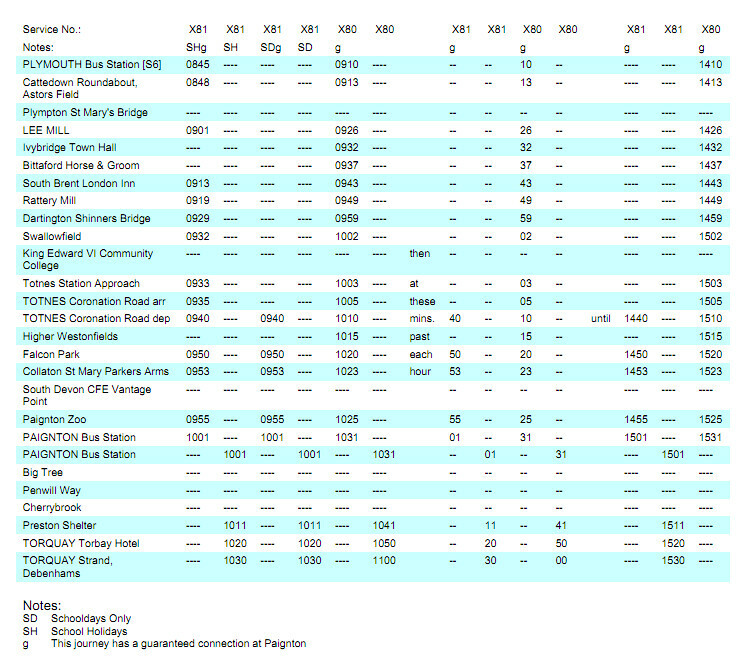 The new timetable from 11th April clearly shows how the extra run to Dartmouth fits in. This does give a few extra possibilities and I look forward to having a nice round trip Plymouth - Totnes - Dartmouth - Kingsbridge - Plymouth sometime in the summer.